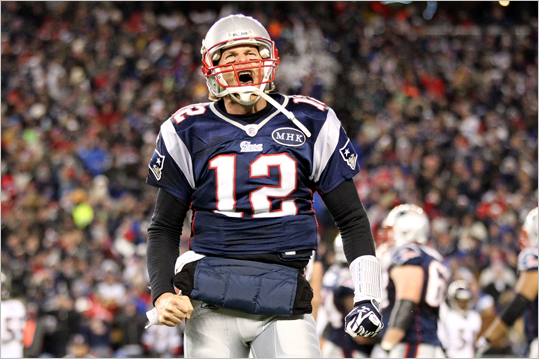 I’m a bit embarrassed to admit this, but for the first time in a lifetime of watching sports, I found myself in tears watching the New England Patriots jaw-dropping, miraculous victory in the AFC Championship Game yesterday. 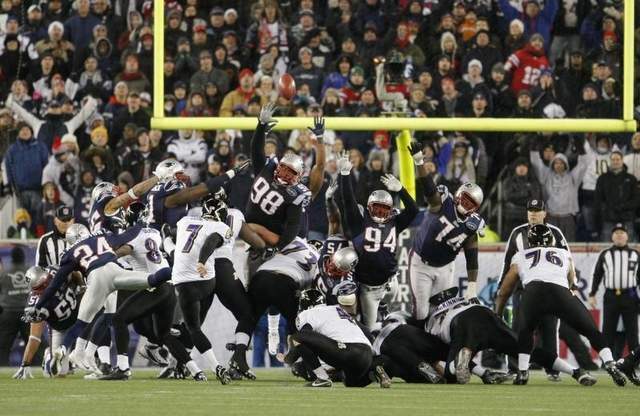 After Baltimore Ravens kicker Billy Cundiff hooked to the left of the goal posts what should have been an easy breezy, chip-shot field goal, I found myself prostate in front of the television, as I broke down and cried. As Gillette Stadium and 60,000-plus fans were going berserk thousands of miles away, I screamed and hollered with what was left of my voice and then was shocked to find myself as emotional as I’ve ever been after watching a victorious Boston team, in a combination of exaltation, relief, disbelief and joy. The Patriots, my beloved band of brothers were celebrating with their genius/mastermind of a coach Bill Belichick under a rain of confetti and for just a a few seconds, I found myself with tears running down my face. After more than 3 hours of screaming at the top of my lungs at just about every play, I probably shouldn’t have been surprised by this outburst. And now, more than 24 hours later, I’m not even sure I know why I was crying at the end of that improbable victory yesterday. But I believe that I wept for everyone else in this sometimes cruel world who’s been down and out; for every person or team that has played it’s heart out and has been rewarded by some inexplicable turn-of-fate…this “angel in the whirlwind”; this strange breeze that incredibly blew Baltimore’s Billy Cundiff field goal wide-to-the-left of the goal posts and sent the Patriots to the Super Bowl for the fifth time in less than a decade! 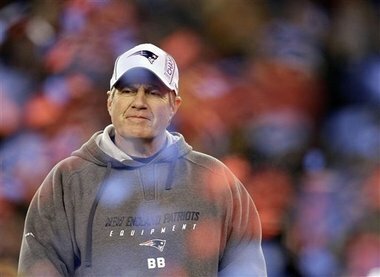 I cried tears of happiness for the generations of Patriots fans, both young and old; for the kids who don’t really know the misery of being a Patriots fan – a team without a home that sometimes played at Boston University’s field, Boston College’s Alumni Stadium, the ancient Harvard Stadium and even Fenway Park. And I wept for the old timers, who had to freeze their asses of sitting on the metal benches inside that terrible joke-of-a-stadium in Foxboro where I used to go and sip hot-chocolate and pray that the game would be over soon. For the veteren fans who have never given up on a team that for so long lingered at the bottom of the list of teams, but somehow kept believing in better days to come. I cried for the shame and regret that came when the New York Giants came from behind in the final minutes of the 2007 Super Bowl to ruin the Patriots bid for the “perfect season,” when there seemed to be another very different “angel in the whirlwind” that allowed New York Giant quarterback Eli Manning to escape the grasp of Patriot defenders and throw a long pass that David Tyree on his helmet! Oh, demons be gone. 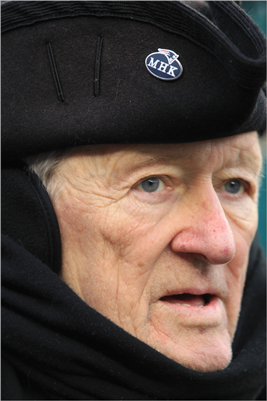 But most of all, I cried for the memory of Myra Hiatt Kraft, who passed away before this season and whose initials, MHK, the Patriots have worn on their uniforms all season long and who’s spirit will hopefully guide this team of destiny to a victory in this years Super Bowl over those very same New York Giants. 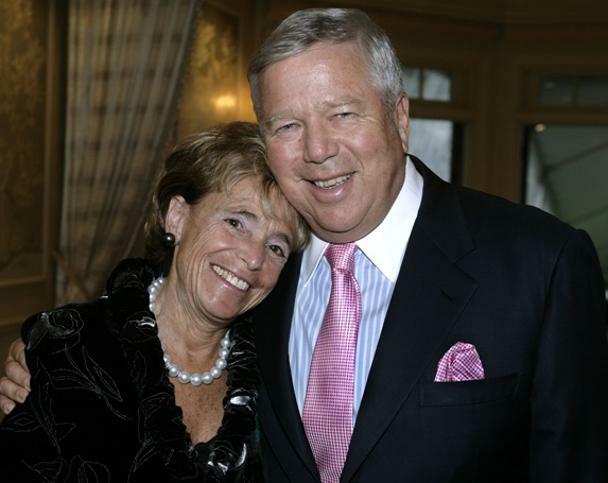 I cried for Myra Kraft and all the other people who lost their lives after battling cancer and other illnesses, including my sports fanatic father and lovely sister Elizabeth, who’s passing in the cruelest of months of January my family observed once again this month. For my sister Elizabeth, for my father, and for Tom Brady, for Bill Belichich, for Gronk, and the Law Firm, and Wes Welker and the veterens of Patriots teams-past, like Drew Bledsoe (who presented Bob Kraft with the AFC Championship trophy yesterday) and Tedy Bruschi and on and one, and the rest of the 2011 New England Patriots who, hooray, are going once again to the Super Bowl in Indianapolis in just two weeks, where once again I will be on pins and needles all game, screaming at every play. And hopefully – with a little help from an angel in the whirlwind and the great coaching and playing, the New England Patriots will win their fourth Super Bowl in just over a decade. 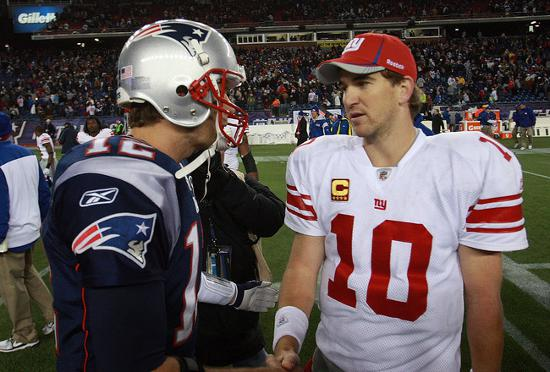 Once again it will be Tom Brady versus Eli Manning. Once again it will be the best team from the American Football League against the best team in the National Football League. Once again it will be Boston (well, okay, New England) versus New York. Once again it will be for all the marbles. And for the next two weeks there will be plenty of speculation and pontification on what to expect. But regardless of the outcome, I truly believe that the Patriots will be playing, in their heart of hearts, for respect and for glory and for the memory of team owner Bob Krafts ever-so-dearly departed Myra H. Kraft, who I believe will pnce again be looking down at the game and cheering for her New England Patriots. And if that’s not enough to carry them to victory, I don’t know what else is.